Round white top for our .15 oz lip balm tubes. COMMENTS: We make hundreds of lip balms every year, and we've never once had a problem with these lids or their matching tubes. COMMENTS: I had no problem with these caps. I like the white against the clear tubes. COMMENTS: They are the perfect fit for the round lip balm tubes. COMMENTS: This cap (and the tube that goes with it) are perfect for any lip balm product. These have turned into one of my best sellers! Will definitely order again! COMMENTS: These caps are strong, and firm enough to keep their shape, yet giving enough to not break when dropped or stepped on (yes, a bag of about 5 were stepped on accidentally once here). I feel that these caps are of even better quality than the caps on "professional" brands of lip balm--which, in my experience can easily lose their shape in a hot car. These caps fit snuggly and slid on with a satisfying little "snap". additionally, though I have ordered hundreds (maybe thousands) of these caps, I have never had any missing, nor any broken or misshapen caps. Not even one. COMMENTS: The exact amount arrived, and they work perfectly with the lip balm tubes. "Cap for Lip Tube - White, Round"
COMMENTS: The "Cap for Lip Tube - White, Round" snap on very nice and don't fall off. Very nice. COMMENTS: easy to use. Fits the tubes perfectly. COMMENTS: Snaps onto the lip tube tight and stays on. Not hard to remove. Good quality as expected. Will buy again. COMMENTS: Sorry for the Star Wars reference. Not much to say. The cap fits on the tubes well, the price is great, I like the shape. Good product. COMMENTS: After reading others reviews maybe I got the wrong cap! But, alas, they are the right ones BUT they are too loose and they slide off too easily. Maybe I got a bad batch? Pretty bummed, since I have a show soon and will have to warn everyone to be careful with their lipbalm coming open...ughh! COMMENTS: The caps fit perfectly....great for the money especially! "Works perfect with lip tube"
COMMENTS: No other word to describe...perfect. It's very pretty as well. Can't go wrong with white. COMMENTS: I used this lid on my white lip balm tubes. Works fine. I think I still prefer when the tubes come with their lids as a set. COMMENTS: Purchase these a lot. Great value. COMMENTS: Great price and good quality. 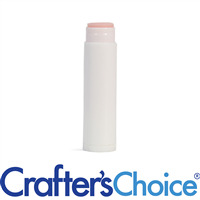 "Cap for Lip Tube - White, Round "
COMMENTS: Caps snap onto the tubes with no leaks - great for lip balms! "Need the lid for lip balm "
COMMENTS: Use this cap for lip balms, the container does not include lid. COMMENTS: Good product, good price. Would purchase again. "Cap for lip tube- white round"
COMMENTS: These fit perfect on the round tubes and didn't smash the top of my product! • Easy off on but not too loose! COMMENTS: These work great on the tubes! COMMENTS: These caps are the perfect companion for the lip balm containers. White helps them to stick out. COMMENTS: Great lid to accompany the lip tube. Fits well. COMMENTS: This was the first time i bought these to go with the chapstick tubes.the caps fit on tight. I was pleased with the caps and the tubes. 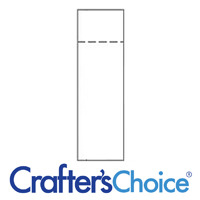 I have had problems with other companies in the past I recommend these to anyone who needs chapstick caps. I will be buying these again. "They did what they were meant to do "
COMMENTS: Fits perfect with no problems. Tight and secure but not too tight. Super happy with these lids. COMMENTS: These lids work perfectly with the WSP white lip tubes! COMMENTS: Great caps, no leakage. Good quality. COMMENTS: Bought these for lip balms and have now gone through a couple hundred. Very pleased! COMMENTS: I use this for goat milk lip balm. COMMENTS: Perfect - no problems. All fit very well with no slippage, leakage, sticking or popping off. Looks great w/ the natural or white tubes. Fits into our line of products very well. Shipped well - no leaks or complaints. Will order again - really like the look of the white caps. COMMENTS: Great price and good quality ! Cant beat that!! COMMENTS: What can you say about a lid? Fits well with the tube and is tight enough so it doesn't fall off. COMMENTS: I have been ordering these for almost a year and they are perfect! I have tried numerous other brands in the past and nothing has been as great of quality as these. These are the only lids my company will use! The tubes and lids are the absolute perfect match! "Tubes & caps, what can you say?" COMMENTS: I like this product. It fits nicely with the round lip tubes. Very nicely made. I will definitely buy these again. COMMENTS: Seals onto lip balm tubes easily. Provides strong seal, with no leakage. Will buy again. "Just what they are meant to do"
COMMENTS: No problems with closing. COMMENTS: Lip tube caps fit nice and tight with a definite click you can both hear and feel. Fits very snug. Will be buying these again. It gives your product a very definite commercial look like the major manufacturers. Both the white tube come together to give you definite distinguished product. COMMENTS: Great, works well with tube, always fits. Need to offer in 5,000 size instead of 10,000. Should match lip tube offering, not be double. COMMENTS: Lids work great with lip balm tubes. COMMENTS: I always use these for my lip balms and solid perfumes. They fit the tubes perfectly. COMMENTS: Most importantly, these lids always fit. This is a quality product. COMMENTS: Used this for lavender lip balm and perfect and easy to use. COMMENTS: These fit the intended tubes nicely. COMMENTS: All the caps fit nice and tight. I get different colors to go with the different kinds of lip balm I make. COMMENTS: I purchased multiple color lids to help color code my lip balms to make finding flavors easier at shows. Fit well on the clear tubes. COMMENTS: These caps fit so well on the lip balm tubes. The white color is a must have, especially when doing products for certain themes or holidays. COMMENTS: I like the white cap because it adds a clean and more natural look to my products. I've never had any issue with the cap falling off, works perfectly. COMMENTS: Exactly what I needed. I prefer just the white myself so these are great. I'm sure I will be adding colored lids eventually glad that they are sold like this. COMMENTS: These are good quality caps that fit nicely on lip balm tubes. I love the white because it goes with almost everything. COMMENTS: This fits perfectly on the lip balm tubes. I really like the sleek, simple look. COMMENTS: Perfect fit for my lip balm tubes. COMMENTS: These caps are very nice looking and they fit the WSP lip balm tubes perfectly. "Works great with lip balm tubes"
COMMENTS: I use these caps with my lip balm tubes. These fit the WSP tubes perfectly! I have bought some from other companies and the lids did not fit the tubes, they were too loose and fell off easily. I recommend the tubes and caps from WSP. COMMENTS: Great product and what we've come to expect from WSP, great for our natural lip products. COMMENTS: Perfect fit, snaps tight great for separating my lip balm flavors/scents. COMMENTS: Used with the lip balm recipe on wsp. They are a perfect fit with the lip tubes. COMMENTS: This cap is easy to use and economical. COMMENTS: These look very nice with the white lip balm tubes I purchased from WSP. They have a nice, tight fit. 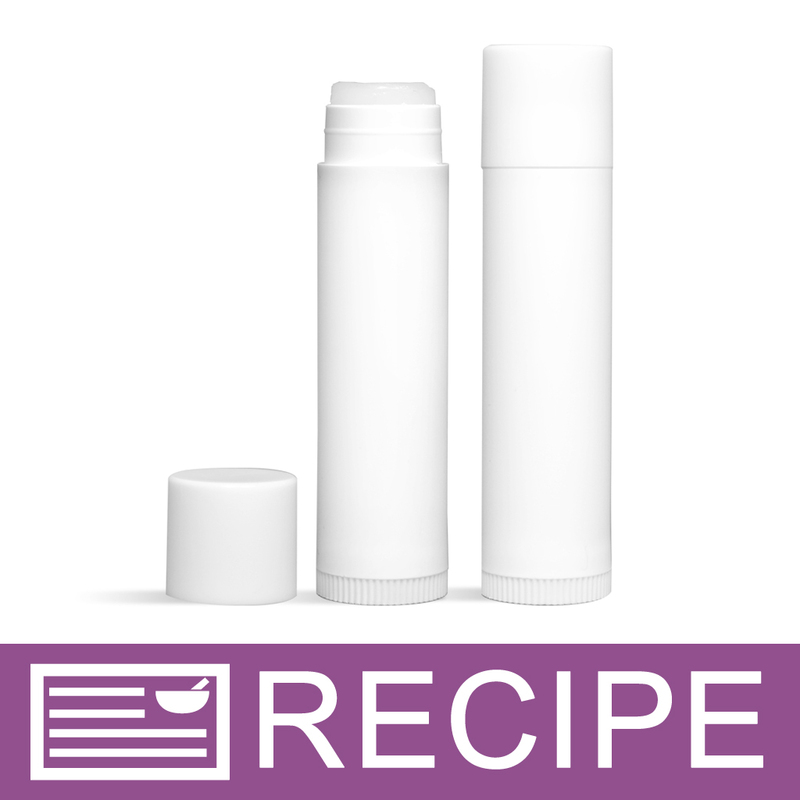 "Great product - works perfectly"
COMMENTS: What can you say about a lip balm tube lid? It fits the tube perfectly and even clicks into place. I've never had any problems with these. Cheap and effective - works for me! 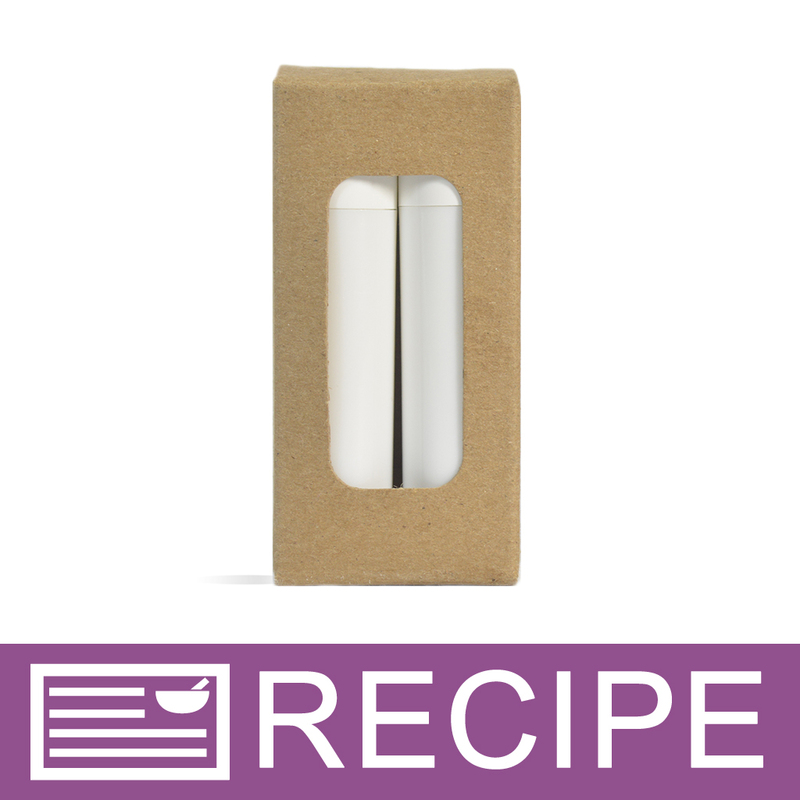 COMMENTS: These lip tube tops are so easy to use and they make my lip balms look professional and my clients like the fact than when I add the balms to the lip balm boxes it makes a great presentation. "Will Reorder, Lip Tube Round Top White "
COMMENTS: Great Price on basic Lip Balm Tube Top. Will Continue to Order This. Looks Great with the clear Lip Balm Tube. COMMENTS: I actually ordered and received the clear lids but it's having me review the white ones. I love them and they fit well. I will order them again. COMMENTS: High quality, consistent tops. I like the clean look of all white, although I use the natural ones for colored balms. "Lip Tube Round Top - White"
COMMENTS: I prefer the Black tops with the white containers, but if you want to stay consistent, these are just fine! COMMENTS: These caps snap right on. It fits their .15oz tube perfectly. I also used their .15oz tubes last night to make lip balms and they fit much better into my tube tray then the previous tubes I had before WSP. I much prefer the lip balm tubes and caps from here! much better! "Perfect Economical Lip Tube Top"
COMMENTS: I've gone through hundreds of these. Easy snap on and off with a good seal every time. Great economical price. "What are the dimensions of this cap? Looking to make flavor stickers to put on top. " Staff Answer The cap is .5" wide across the top and has a 2" circumference.